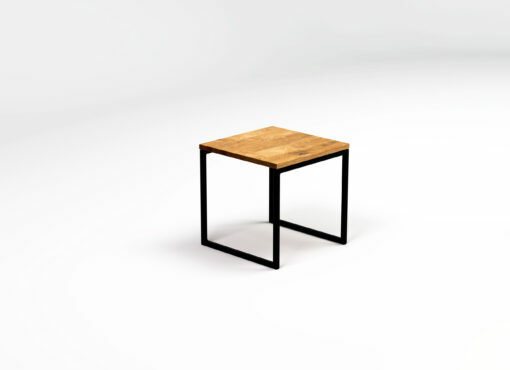 LIGHT KUB coffee table is a small cube with a wooden top and steel frame base. It doesn’t take up a lot of space and is extremely handy. 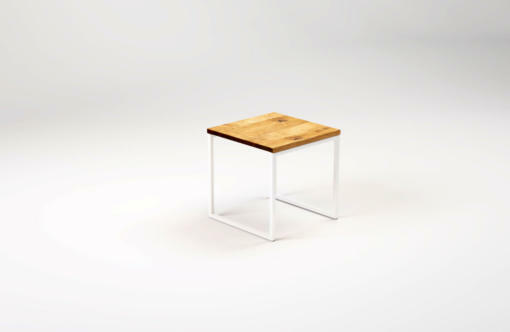 Minimalist design, simple form and delicate lines match the decor of any modern living room. 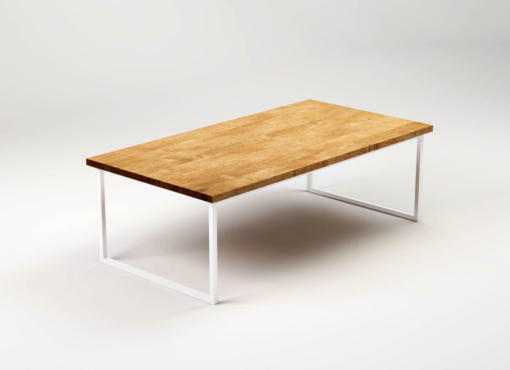 A square coffee table can occupy the main place by the couch or stand on the side, by the chair or sofa, so it’s within easy reach. 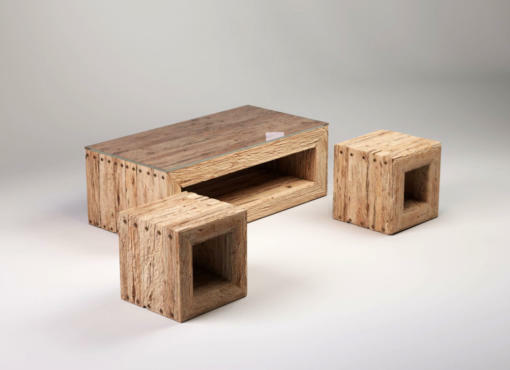 Add a chic centrepiece to your entertainment space with this elegant coffee table. With a clean-lined design and minimalist motif, this charming piece is a perfect addition to contemporary ensembles. 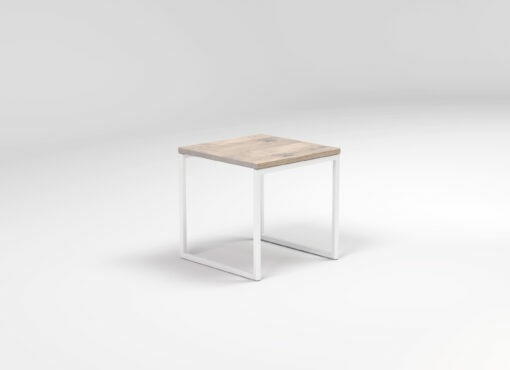 The simple frame’s metallic finish elegantly contrast the sleek top for a look that is brimming with chic style, while the 40 x 40 cm top provides the perfect place to set out drinks or display decor. Try setting it at your living room seating ensemble, then top it with a potted white orchid, a stack of glossy art books, and a trio of mini verdant succulents to craft a contemporary and botanic style interior.